Get the latest news on Hotel Bristol and Jesolo's coastline: we will keep you up-to-date on the events you can find in the nearby area and on what you can do on the various excursions. From festivities in Jesolo to events in Venice, as well as bike rides and Golf Jesolo offers. Don't miss out on this opportunity to enjoy a unique experience with us! 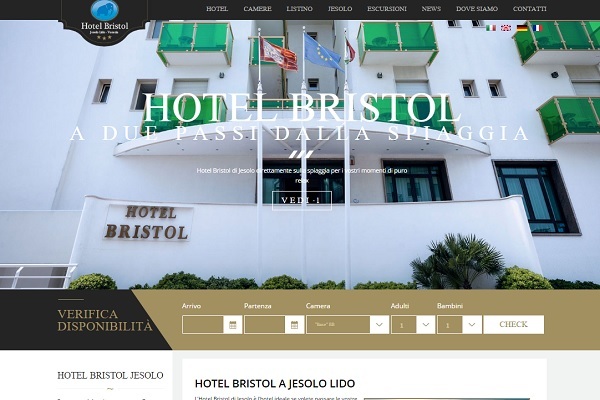 The new website of Hotel Bristol in Jesolo is now online! The new Hotel Bristol website is now online: new contents, new layout and new booking procedures to make sure your holiday is a unique and unforgettable experience.